Is Animal Crossing a game? There’s a lot to be said for Nintendo’s loveable franchise, but it still doesn’t seem to fit the typical definition of a video game. For a start, there’s no real goal or a points system. 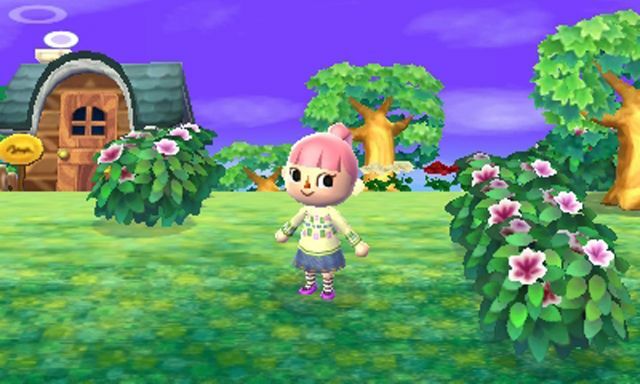 Yet, with every new structure finished, every new shop added to the town and every vote of confidence from the people, New Leaf has come closer to that definition than any other Animal Crossing game. Looking at any number of screenshots, you could be forgiven for thinking that not much has changed since Wild World, the last handheld Animal Crossing game to come from Nintendo. But the major change in New Leaf grows like a tiny snowball rolling down a hill. Your journey starts with your character being mistaken for the mayor and then, as the new mayor, your choices and hard work will shape the town, gradually building it into a vision of your own shaping. Along with your new-found power comes a new form of freedom offered by a more open-ended style of game. 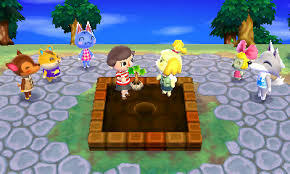 Animal Crossing has always been about catching fish, bugs and fossils and cleaning up the town, ready to see what happens next, but New Leaf takes this one stage further, with more shops, areas and activities items added as you grow your town and look after the needs of the people there. Pretty soon the game will take hold of you and small daily routines in the game will creep in to your real life routine. Stopping on a Sunday morning to buy turnips, visiting the new island, where old mayor Tortimer now resides, in the evening in order to catch the best sharks and beetles or simply rushing to the shops before closing time will play on your mind. Friends also make a big difference this time around. Nintendo have really opened up the internet functions to allow you to visit friends far easier than before. Using the local connection through streetpass you can invite up to 3 other people near you to come to your town, swap goods and even go for trips to the island where you get to win medals by playing mini-games. But there’s also the opportunity to open your gates to a wider audience with the internet allowing you to visit many other towns. This is certainly useful in helping to track down the elusive piece of fruit you are missing, grap artwork for your museum (ensuring it isn’t fake, first) or play the market with turnip prices. The island is probably the single biggest addition to Animal Crossing and even my solo trips have provided me with a great experience, but the day I sat down with the rest of my family, all listening to Kap’n sing his little sea shanty as we travelled to the island, then just having fun diving in the sea catching all sorts of things. Animal Crossing New Leaf won’t be a game that everyone will be able to understand or get behind, just as the other games in the series were equally able to fracture the gaming community into those who love it and those who are left cold by its charms, but when you do ‘get it’ and it works for you, New Leaf will be one of those titles that takes up far too much of your waking day and probably quite a few dreams at night, too.